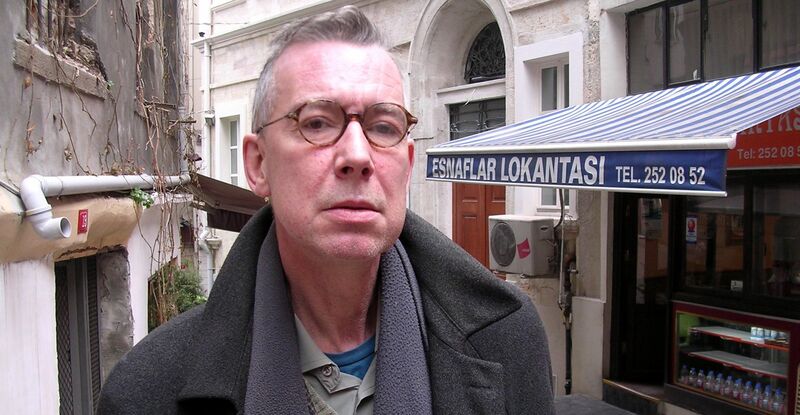 When I wrote the review below of John Ash’s “Parthian Stations” for the Economist, I deliberately tried to foster the idea that Ash represented a new “Istanbul school” of poetry. I meant it to refer to the work of Ash and a circle of writer friends and acquaintances who have come together in our old Ottoman-era part of the heart of Istanbul, and whose writings draw inspiration from ancient and modern, east and west, and the multiple religious faiths in our crossroads city. Seven years later, a Google search shows that “Istanbul school of poetry” now scores several hits as an idea in blogs and newspaper articles, and someone (no, it wasn’t me!) even posted that “Istanbul school” idea in Wikipedia (here). One of the first references is in a broader story I did on ‘The Poets of Istanbul’ for the very first edition of Turkey’s Today’s Zaman in January 2007 (here, scroll to p.17). Fingers crossed that we’ll see even more Istanbul poets’ work in the coming years. BACK in the days when John Ash was a rising English poet of the New York School, critics either loved his stiletto wit or loathed it as “camp disdain”. Mr Ash’s new book, “The Parthian Stations”, shows how a decade of living in Istanbul, studying the heritage of Byzantium and travelling in the Middle East has sharpened both his eye and the claws of his feline black comedy. Meanwhile, any disdain he may have felt in the past at the politics he observes around him has matured into a deep and incisive anger. “The Parthian Stations”—named after a caravan route between the Mediterranean and India that was described by a Basra geographer in the 1st century BC—displays Mr Ash’s talent for integrating contemporary Middle Eastern events into a classic English poetic frame. He condemns the ruler of Syria, for instance, for retaining the holes made by bullets fired during the 1982 Hama massacre—and then building a hotel on the bulldozed remains of the ancient city centre. rose in balconied stages. Cursed. When Mr Ash’s 2004 collection, “To the City”, came out, Poetry, a leading American literary magazine, said that he “could be the best English poet of his generation”. Now he may also be the doyen of a new “Istanbul School”. Several English-speaking poets are publishing work that, like Mr Ash’s, use the city as a vivid background against which to weave together themes of East and West. There is the easy fluidity of Sidney Wade of Florida, the wry melancholy of Mel Kenne of Texas and the keen eye of Alabama’s late Daniel Pendergrass for the theatre of the streets. James Wilde, a Canadian, writes savagely of war, Edward Foster pens gay odes and George Messo, an Englishman, is working on an epic. The son of a schoolteacher, Mr Ash, 58, lived until 20 years ago in his hometown, Manchester. Just as he was achieving recognition in Britain he left for America as a protégé of John Ashbery, a leader of the avant-garde New York School. His book is by turns autobiographical and whimsical. The narratives are accessible, whether meditating on the spontaneity with which he writes or on the sudden death of his sister. Above all, Mr Ash engages with Istanbul, the former Constantinople—“an antechamber of Asia a place of distances and perspectives”. A voracious reader, with a passion for Byzantine history, Mr Ash takes a long (and not altogether favourable) view of America’s role in the region’s conflicts. Proceed at vast expense, banquet after banquet. On crippled limbs to proclaim victory. But, in the end, what difference does it make? Persepolis burned, and Fallujah is emptied.